Beijing is blooming with purple lilac flowers right now. Take advantage of the warmer weather and go for the purple beauty. 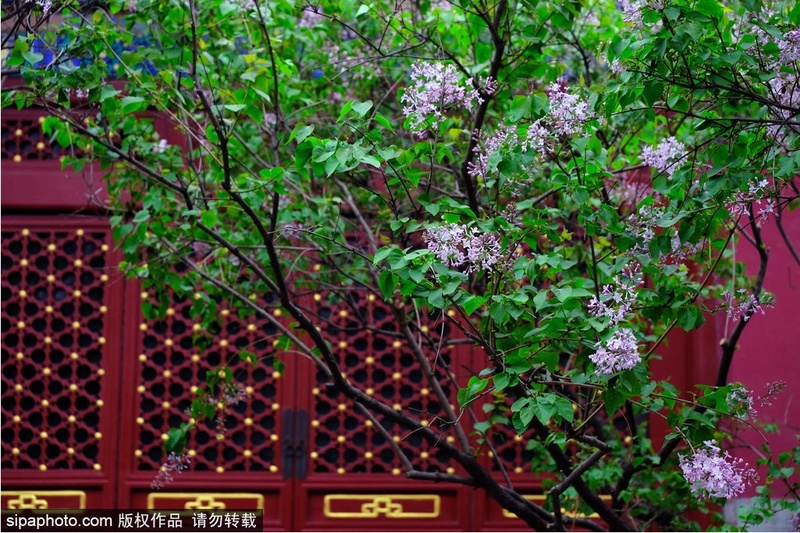 Fayuan Temple is famous for its lilacs for over a century, especially for those growing in the Main Hall and the Hall of Great Compassion. Apart from purple and white lilacs, there are other rare varieties, such as the transocean lilac from Maluku, which has four petals whose margins are darker-colored. 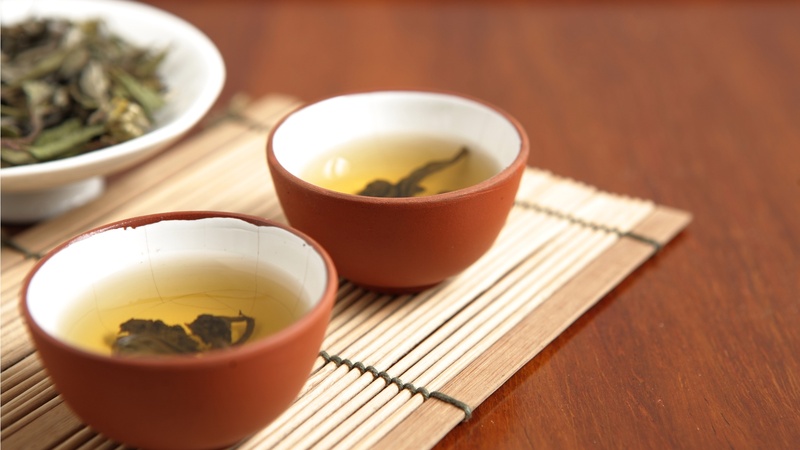 Although many of them were felled during the Cultural Revolution period, the survivals have been well protected in recent years. Lilac Poetry Society was reorganized too in 2002. 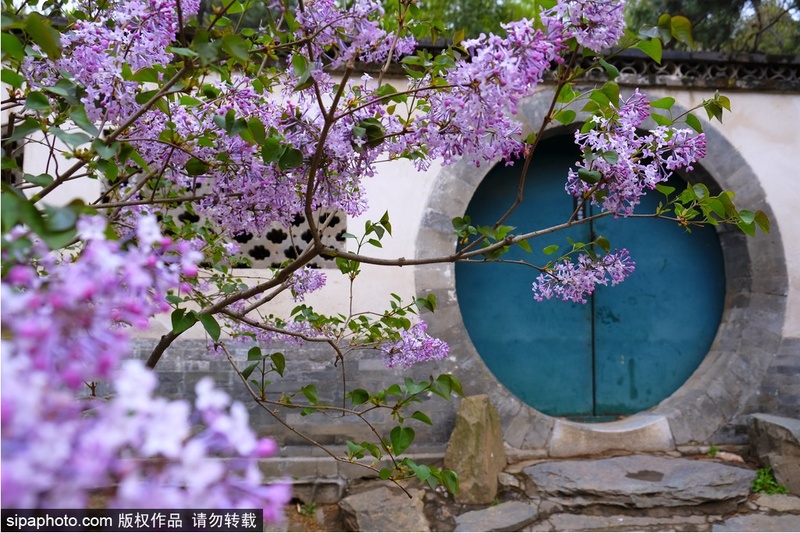 Ancient lilac is one of the most precious flowers in Jietai Temple. 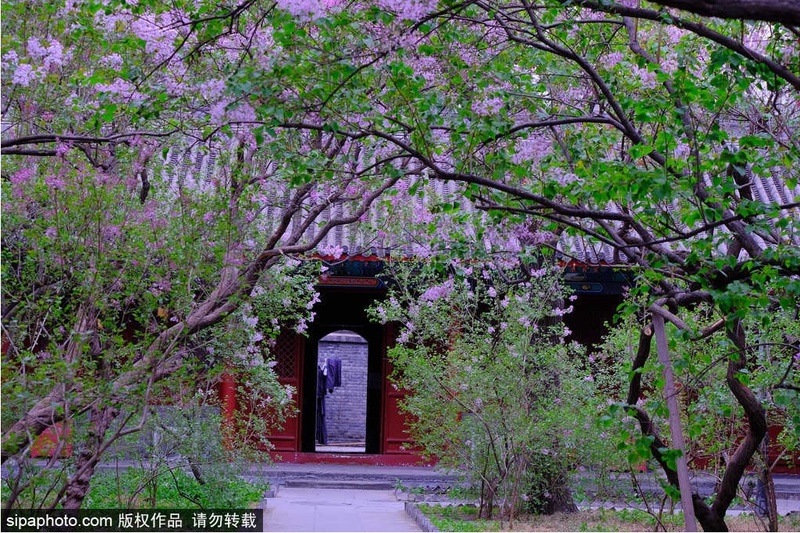 The temple houses around 20 lilac plants of more than 100 years old, which are rarely seen in Beijing region. 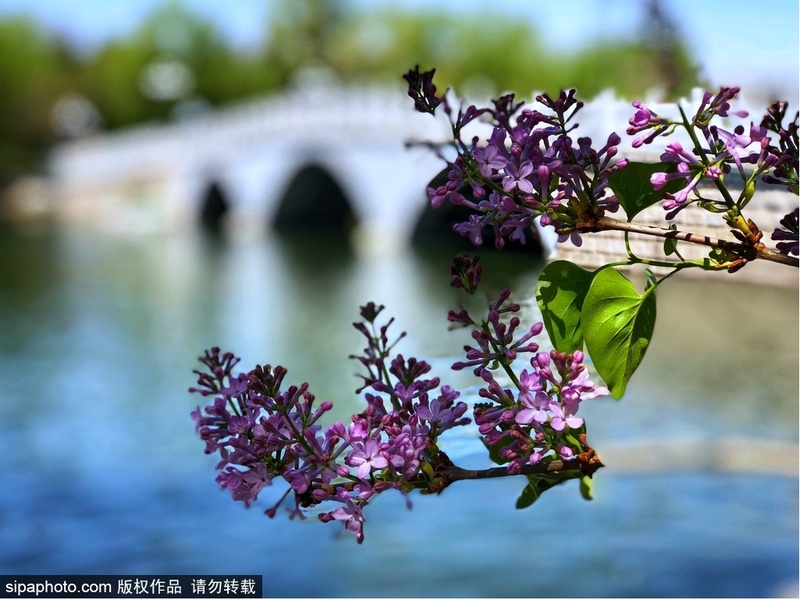 Besides traditional flower-viewing, more activities will be offered at Lilac Festival in Jietai Temple, including calligraphy and painting exchanges, guqin performance, tea art performance, and photography, aiming to shape a series of outing activities lasting one month. When the season comes, lilacs huddle together on branches, in pure white, pale purple and purplish red, as luxuriant as the praises in poems of Tang and Song dynasties. 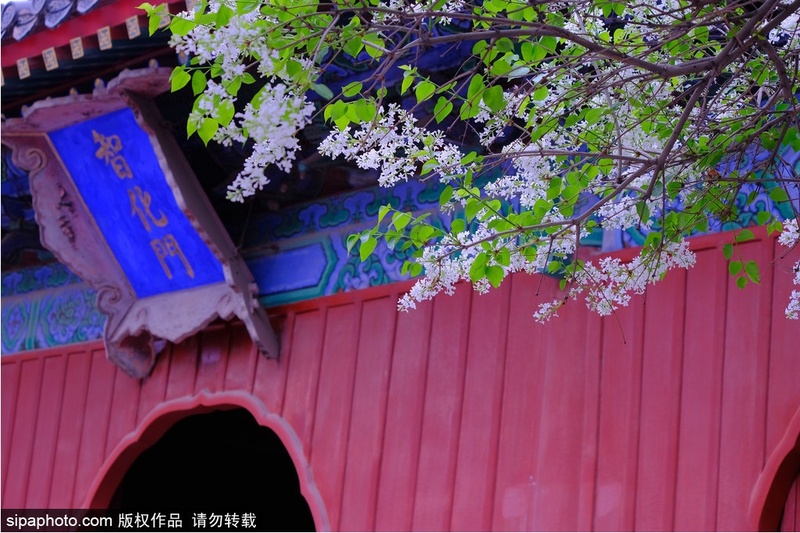 In spring, the blooming peach and lilac blossoms at Zhihua Temple are attracting visitors for spring outing. 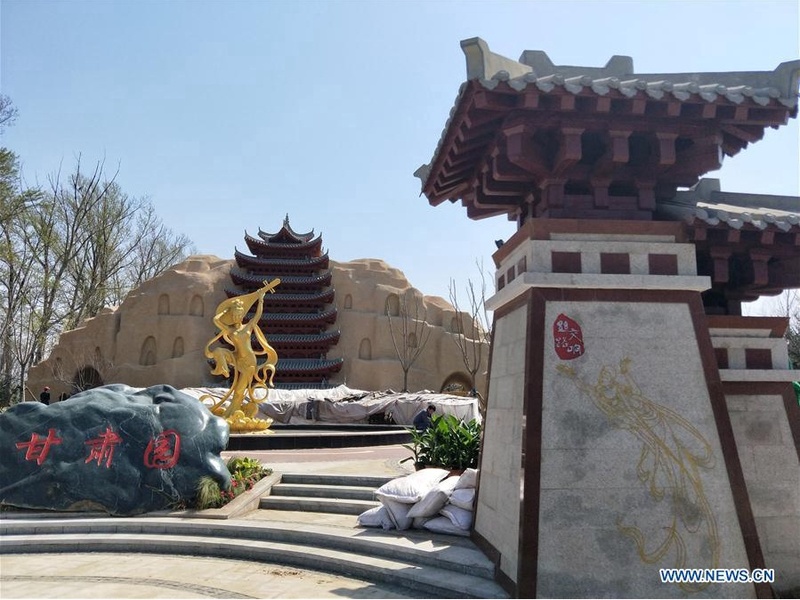 Zhihua Temple, located in the Lumicang Hutong, was built in the 9th year (AD 1444) under the reign of Emperor Zhengtong of the Ming Dynasty and got its name granted by Emperor Yingzong. A white marble plaque engraved with "Chici Zhihua Temple" hangs on the front gate. 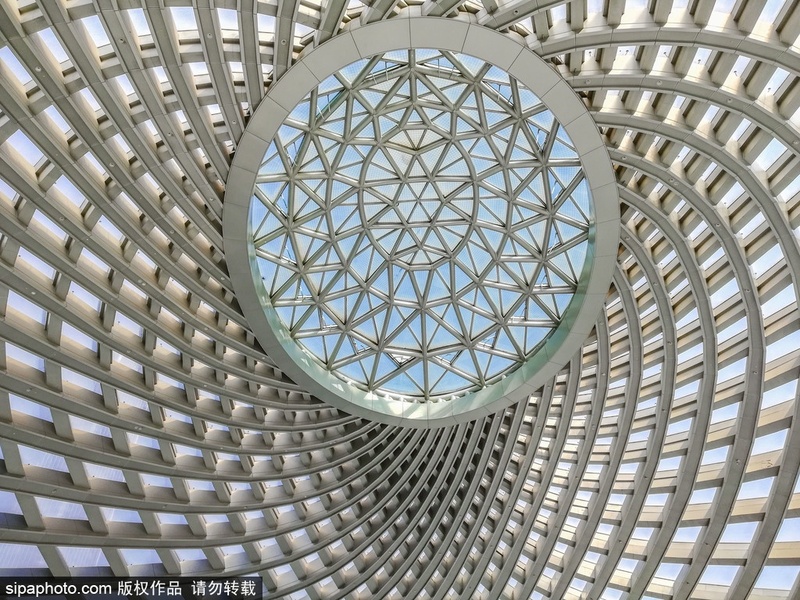 "Chici" means the name of the temple was given by the emperor, and "Zhihua" means to deliver all living creatures from torment by the wisdom of Buddhism. 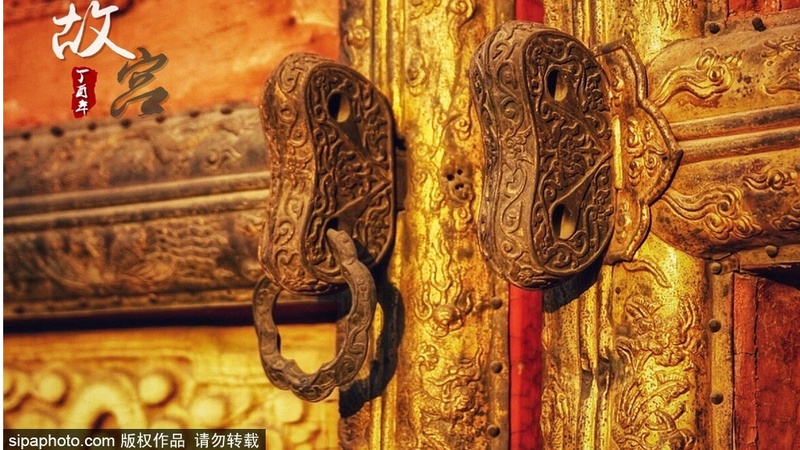 Its four well-reserved halls are the largest palace buildings of timber structure of the Ming Dynasty in Beijing, making itself a pure land of Zen Buddhism. Sitting to the northwest of Taoran Bridge, South Second Ring Road, Beijing, Taoranting Park is a new urban park combining both ancient and modern bridge building techniques and highlighting the “pavilion culture” of Chinese nation. Billed as “a famous resort of the capital”, it represents the first modern park built since the founding of the People’s Republic of China. 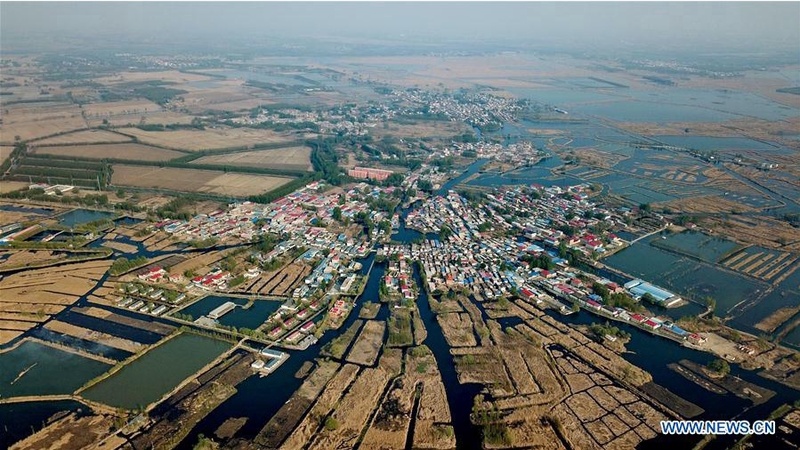 Built in 1952, Taoranting Park covers a total area of 56.56 hectares, including water surface of 16.15 hectares. It is a famous historical and cultural park in Beijing and a national 4A scenic area (spot). Getting to Taiping Street or Taoranting North Stop: you can take Bus 14, 40, 66, 70, 102, 106, Special 13, or T5. Getting to North Gate Stop of Taoranting Park: you can take Bus 40, 59, or Special 13. Getting to South Gate of Taoranting Park: you can take Bus 84, 122, 458, 485 (one-way), 692, 741, Yuntong 102, T3, T12, T17 (one-way), 821, 958, 997, or Night 15. 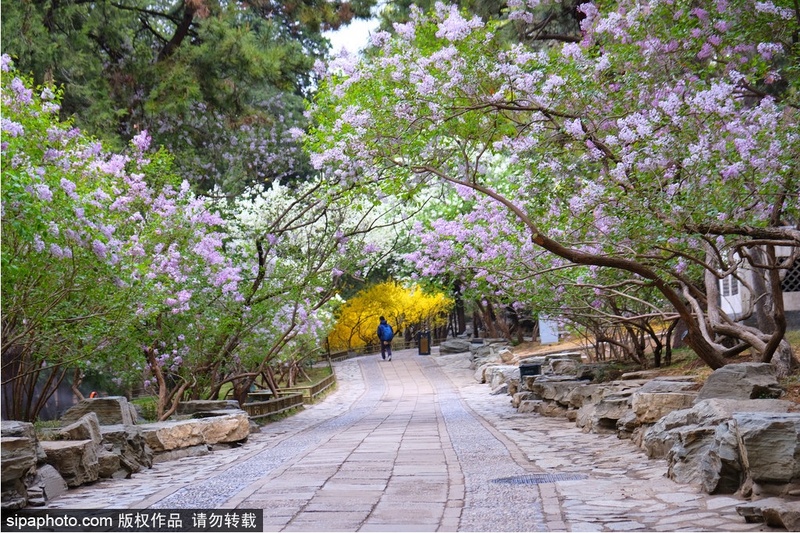 A winding road hidden at the rear slope of the Longevity Hill in the Summer Palace, named Lilac Road, is home to more than 300 lilac trees. The road, at a length of more than 100 meters, streches from the foothills of the Longevity Hill in the west to the Four Great Regions complex. The Summer Palace, dominated by Longevity Hill and Kunming Lake, covers an area of 3.08 square kilometers, three quarters of which is a water area. The 70,000 square meters features various palaces, gardens and ancient structures. The Summer Palace in Beijing is an outstanding expression of the creative art of Chinese landscape garden design, incorporating the works of humankind and nature in a harmonious whole. Route: take Subway Xijiao Line to the west gate of Summer Palace; take Subway Line 4 to Beigongmen Station.